Each country in Southeast Asia has its own variation of this dessert—a medley of sweet potatoes (in yellow, orange, and purple color), yam (taro), black-eye peas, etc., cooked in a sweet coconut milk base. Bubur cha cha is a colorful and sweet dessert, and is generally prepared during festive seasons in Penang, and a must have on Chap Goh Meh (the 15th and last day of Chinese New Year). 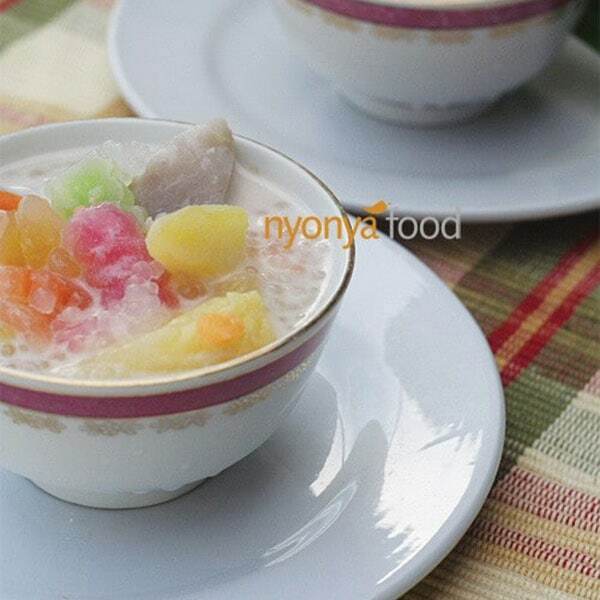 My aunt loves making Bubur Cha-Cha; she is immaculate when it comes to the balance of colors and its presentation. She would make a pink color tapioca jelly to complement the yellow, orange, and purple color in her bubur cha-cha. To me, the tapioca jelly—chewy and stretchy in its texture—is the best part of it all, I love it more than the sweet potatoes and yam. In boiling water, boil black-eye peas until soft. Boil sago separately, until translucent and cooked. Peel and cut all potatoes and taro into cubes or desired shapes. Steam, separately, until cooked. To make tapioca flour jelly, place the flour in mixing bowl. Pour in boiling water. Mix the flour and water until well incorporated. When the dough is cool, roll it out evenly on a well floured surface and cut into cube or desired shapes. Bring a pot of water, add in 1 table spoon sugar, pour in banana and boil for 5 minutes. Drain and set aside. In boiling water (3 liters), add in thick coconut milk, sugar, salt, pandan leaves and cook over low heat about 10–20 minutes. Pour in all the ingredients, together with the sago, tapioca jelly into coconut milk base and mix well. Serve hot or cold, as you like. 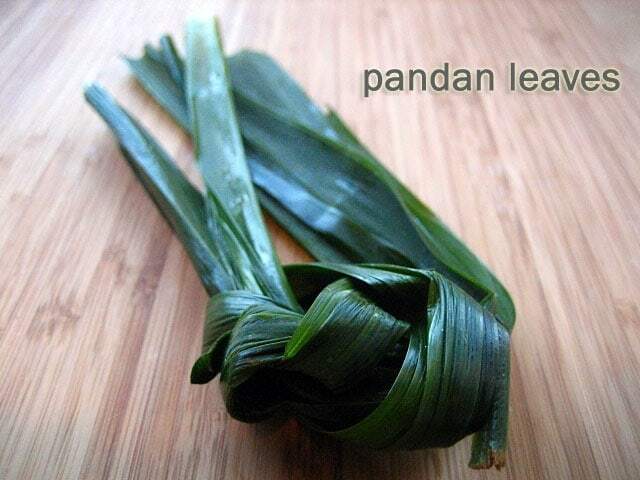 Hi, i cant seem to find pandan leaves here. Is there any other substitute or can i use pandan paste? Hello, is it really 3 litres of water? We have tried this recipe and feel that the coconut milk base was too watery (even though we have added almost the whole can of coconut milk!). Also should the tapioca jelly be cooked / boiled first before mixing into the final coconut milk base with other ingredients? Seems like the recipe has missed this step.. Thanks! Totally agree! This is exactly what happened to us. There is certainly some ratio issue and the water can be reduced. We ended up removing the potatoes and boiling it down so that the taste was stronger. 2- We also realised it wasn’t as starchy if you don’t book the potatoes with the water and added tapioca starch. 3- the tapioca jelly optional :) for those making it in future, we didn’t add it last but put it with the sweet potatoes and brought it to a boil (as it needed to be cooked). Thanks though for the recipe RM, but do note our comments to those out there making it! Hi Eunice, this is a very old recipe and actually contributed by a contributor. The ratio might be off. I will have to look into this.